The Residents of Lake Osborne Heights (ROLOH) community consists of attractive homes in a quiet, low-traffic single family homes area along the shores of Lake Osborne, in Lake Worth, FL. ROLOH "exists to maintain and improve the quality of life in their neighborhood through dissemination of information, providing meetings as forums for discussion, and representing the members’ viewpoints to the City". ROLOH has done a great job with their website by incorporating lots of pictures and even embedding a video into their home page! Learn more and visit Residents of Lake Osborne Heights. Pictures of people attract attention better than the most strongly emphasized headline, they look friendly, and they help identify the contacts for the neighbors! To add a photo when editing the "Our contact information..." section, click the photo icon (The picture of the sailboat) and choose any photo from your computer. Upload as many photos as you like to the contact page! Investments are down. Home equity has shrunk. Paychecks have diminished—if you’re lucky enough to still have one. You may have experienced any or all of these situations over the past few years. But there are ways to get your retirement savings back on track—no matter what your age. With April 15th fast approaching, now is the time to take advantage of some of the tips mentioned in this article. Premium Websites now provide a simple way to invite new members! Do you already have email addresses for your members? 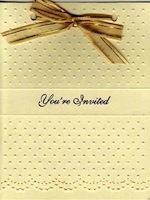 Use our new "Quick Invite" feature to send them a personalized invitation. Each person will receive a direct link to your Welcome page... they'll be prompted to create their username... that's it! When they click "Join" they'll be added to your Members list immediately. No need for further email confirmation or for you to approve them! Using this feature is simple. Go to Membership Levels in the Admin Tools area and click the "Send invite emails here" link. Enter your neighbors' email addresses and write a message describing the benefits of becoming a site member. Tip: Pair the Quick Invite with the Mailing List feature. Create a Mailing List for all site members (use the "Auto-Invite" option) before using Quick Invite and your neighbors will have the option to subscribe to the list as they become a member. This is a great way to get everyone in your neighborhood or HOA both site membership and signed up for your email blasts!